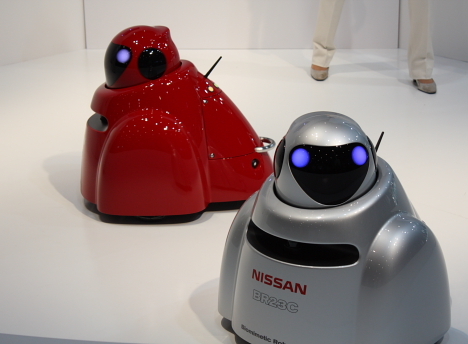 Robots old and new are on display at the CEATEC 2008 home electronics trade show currently underway in Chiba, Japan. Nissan unveiled the bumblebee-inspired BR23C Biomimetic Robot Car, which is equipped with a prototype collision avoidance system developed in cooperation with the University of Tokyo. The next-generation safety technology is modeled after the way that bees avoid crashing into each other. 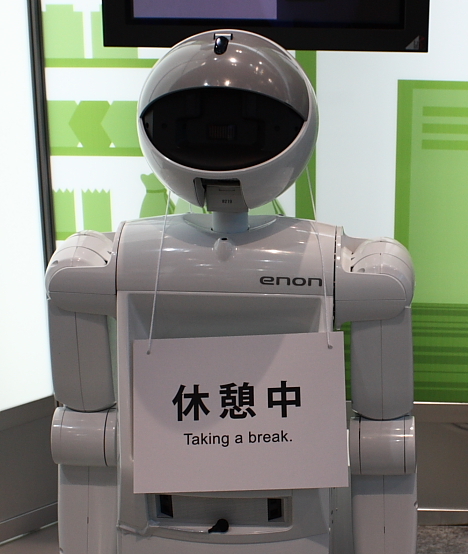 The Mechadroid Type C3 receptionist robot developed by Business Design Laboratory relies on face recognition technology, a touch panel display, speech, and facial expressions to interact with visitors and guide them to their destination. 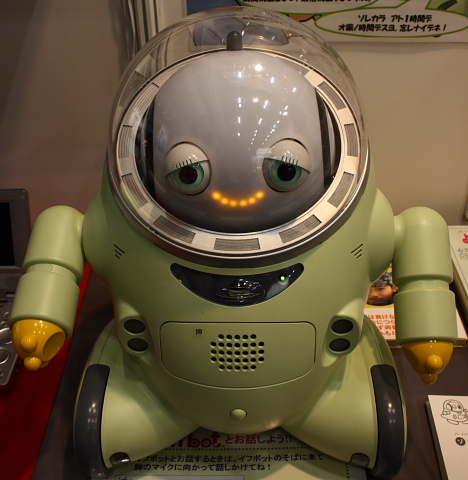 Ifbot -- also developed by Business Design Laboratory -- is a speech-capable robot that can identify emotions in the voice and word choice of the person talking. 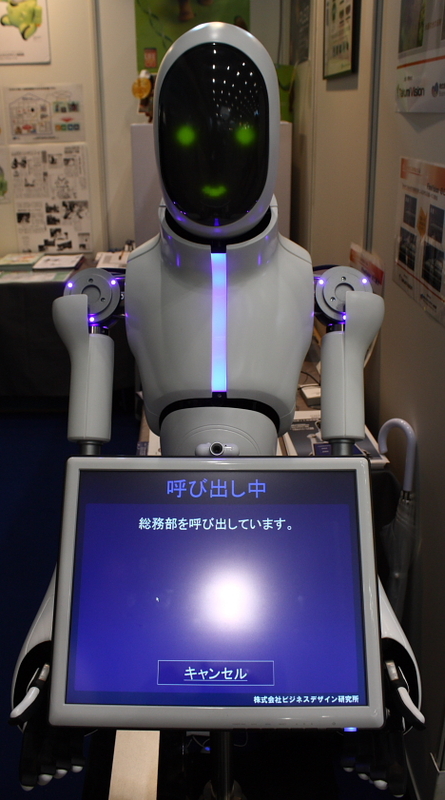 The robot can also communicate its own emotions with a range of facial expressions. 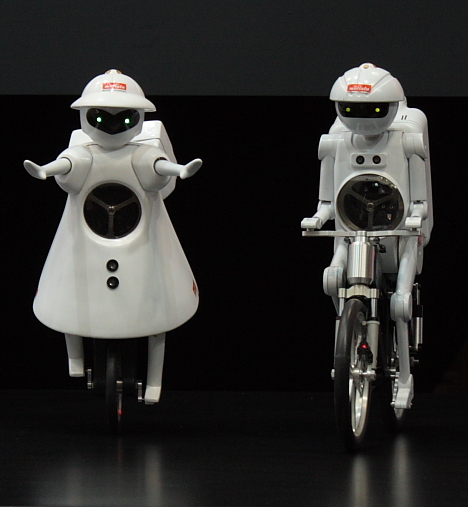 Murata Manufacturing Co., Ltd.'s popular robot bicyclist, Murata Seisaku-kun (a.k.a. Murata Boy), was joined on stage by his recently-unveiled younger cousin, Murata Seiko-chan, who is well-balanced enough to ride a unicycle. 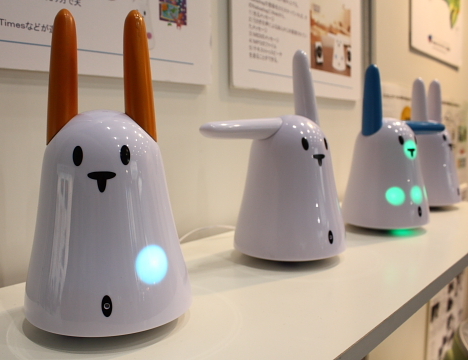 The Nabaztag Wi-Fi Smart Rabbit manufactured by Violet is a bunny-shaped personal assistant that connects to your home wireless network. 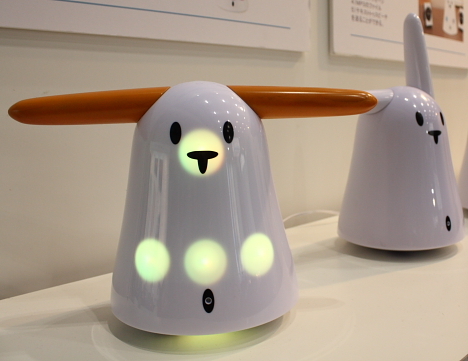 In addition to announcing the latest news, weather and traffic information, the rabbit can tell the time, light up when email arrives, stream Internet radio and podcasts, and respond to spoken commands. 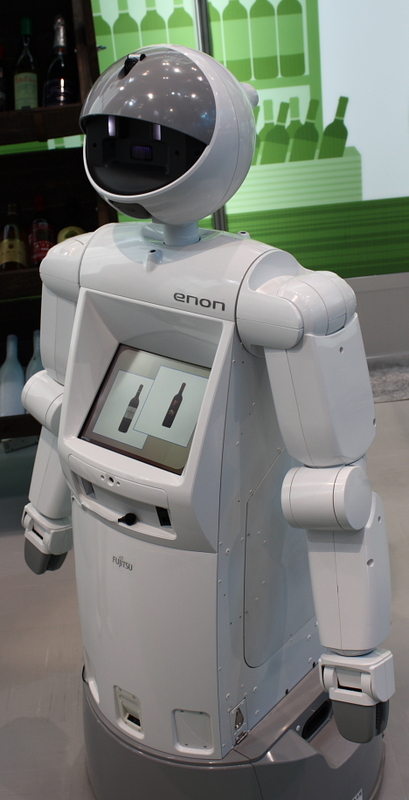 Fujitsu's Enon robot demonstrated the ability to interact with customers and guide them to the wine section. i was almost sent one. I am so lazy. Meh. Apart from the semi-autonomous delivery bots found in hospitals and some factories, there aren't a lot of practical uses for these things, yet.